Tommy Thompson is it’s name and this is where you find food at the marina. Breakfast through dinner every day. The food is good and the view is outstanding. 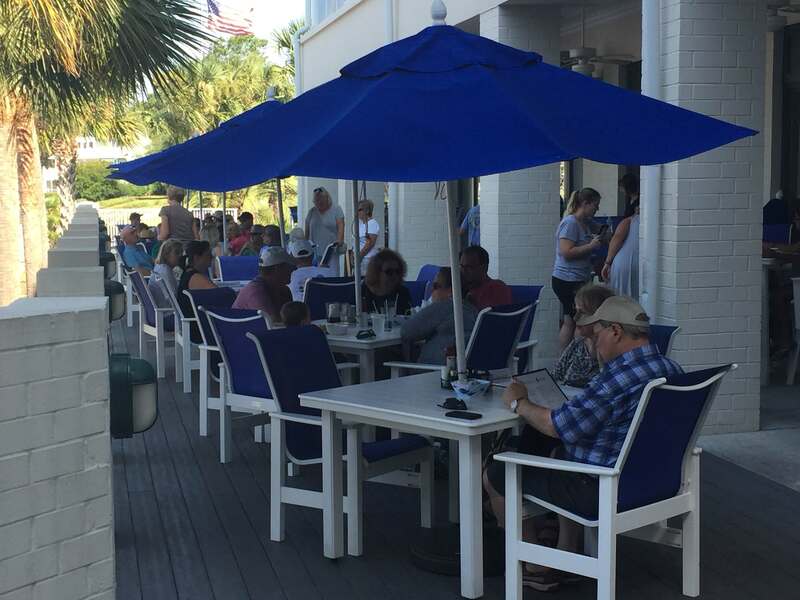 Monday evenings during good weather there is live music and dancing on the deck. It is a fun place to eat and watch the boats.